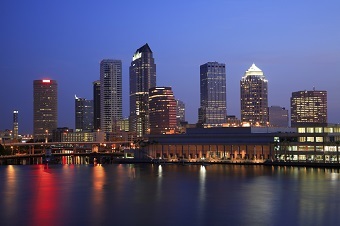 Tampa is located on the west coast of Florida, on Tampa Bay near the Gulf of Mexico. The population of Tampa in 2011 was 346,037. It's a part of the larger metropolitan area referred to as Tampa Bay, which also includes St. Petersburg, Clearwater, and Sarasota. The four-county area is composed of roughly 4 million residents. In 2008, Tampa was ranked as the 5th best outdoor city by Forbes, and also as the fifth most popular home town destination, according to a 2009 Pew Research Center study. Tampa's port is now the seventh largest in the U.S., and a port of call for three cruise lines. As with many cities in Florida, it was originally occupied by Native Americans before it was settled by the Spanish in the 16th century. In the 1820s, the U.S. Army created an outpost by the Hillsborough River. The settlement became a fortified area that settlers used to protect themselves from attacks by the Seminoles. The cigar industry spurred population growth around the turn of the 20th century. Today, Tampa is a thriving town centered around commerce and tourism. Those who like to go to the park in Tampa are going to find a lot to do. Parks in the Tampa area feature art studios, gymnasiums and walking trails in addition to playgrounds, basketball courts and fields for baseball and softball to be played on. Golf courses and dog parks are also available at several Tampa parks. There are dozens of attractions in an around Tampa. The Tampa Bay Rays are a professional baseball team while the Tampa Bay Buccaneers and Tampa Bay Lightning play in the NFL and NHL. 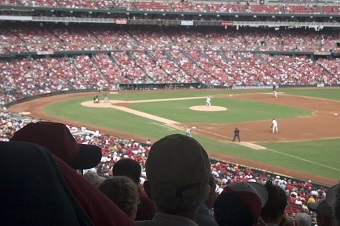 Many baseball teams hold spring training in Tampa and other parts of Florida in February and March. Shopping trips at some of the world's finest retailers as well as large museums are other attractions that you get to experience while in the Tampa area. A myriad of events take place in Tampa. In 2012 it held the Republican National Convention that saw Mitt Romney get the party nomination. There are also art festivals and concerts put on by some of the best known bands in the world. To see a calendar of the action in Tampa, click here. The Tampa Bay area offers a winning combination of sunshine, recreation, and spectacular homes and neighborhoods. If you want to make the move to action-packed Tampa, call The Tampa Home Team, 813-766-3403. The Homeward Real Estate team led by Sharlene Woodis and Doug Katulich are experienced pros who know the Tampa Bay market, and have the latest information and real estate deals. 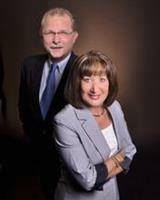 They can help put you in your Tampa dream home! Contact The Tampa Home Team today to view property listings in Tampa, FL, or to find home listings in Tampa, FL.